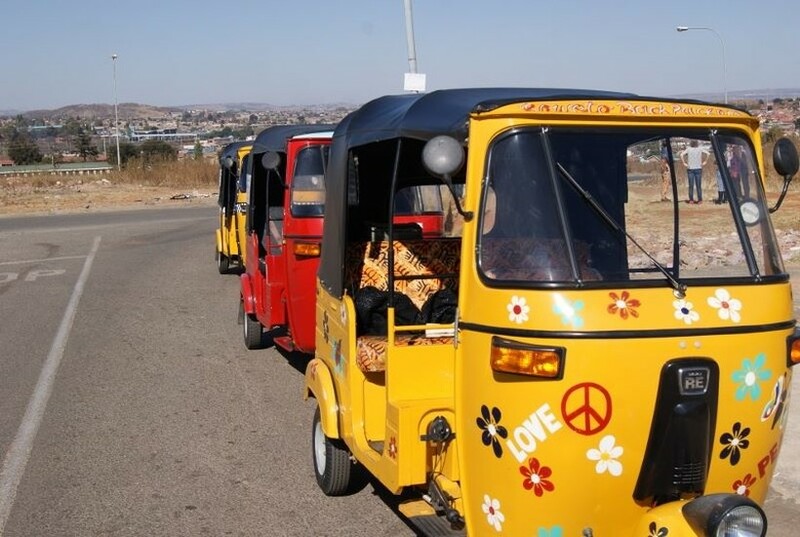 A great way to experience Soweto is by taking a cycling, walking or Tuk Tuk tour. Lebo's offers 2-hour, half-day or full-day options. 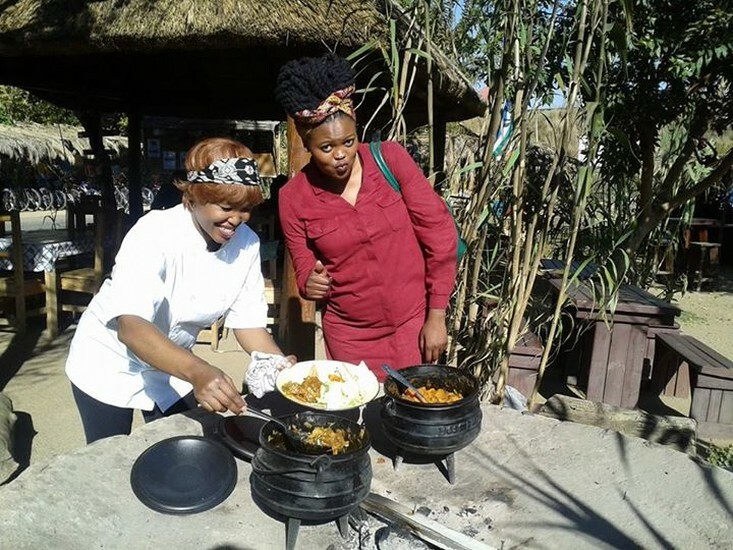 Routes include visits to places of historic and cultural interest such as Vilakazi Street, with Nelson Mandela's house and the Hector Pieterson museum, the men's migrant workers hostels, churches and local community meeting places where you can experience African customs and traditions such as tasting home-brewed beer, and singing and dancing to African traditional music. 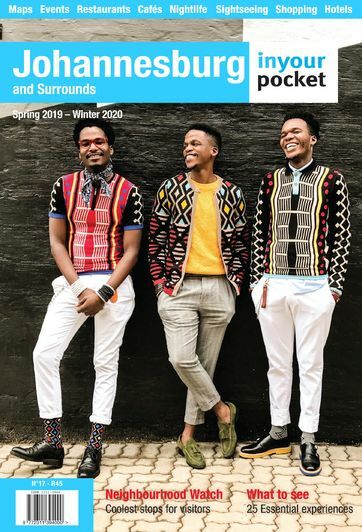 The half-day and full-day tours take in added sites of the anti-apartheid struggle and can be tailormade to group interests to include visits to local churches, charities and other areas of interest. 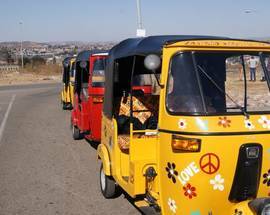 A special Kliptown tour is also available. 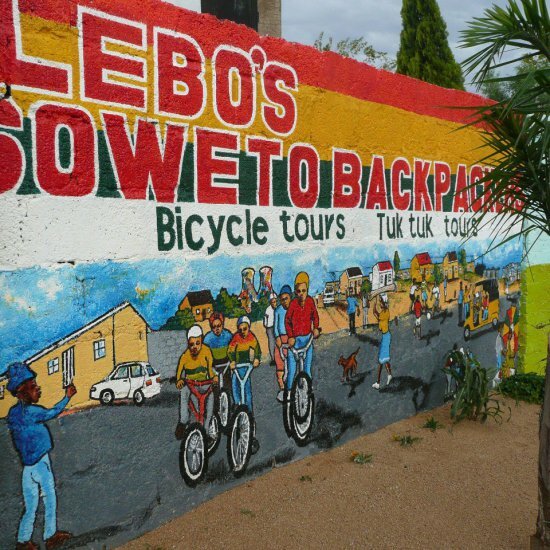 Tours end at Lebo's Soweto Backpackers where you can enjoy a delicious bunny chow while kicking back and resting your legs in the inviting green parkland in front of the backpackers. 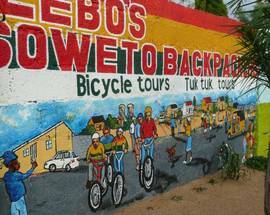 Bicycle tours from R515, tuk-tuk tours from R485 (tours include lunch), 3 hour walking tour R395. Discounts for overnight guests at Lebo's Soweto Backpackers.